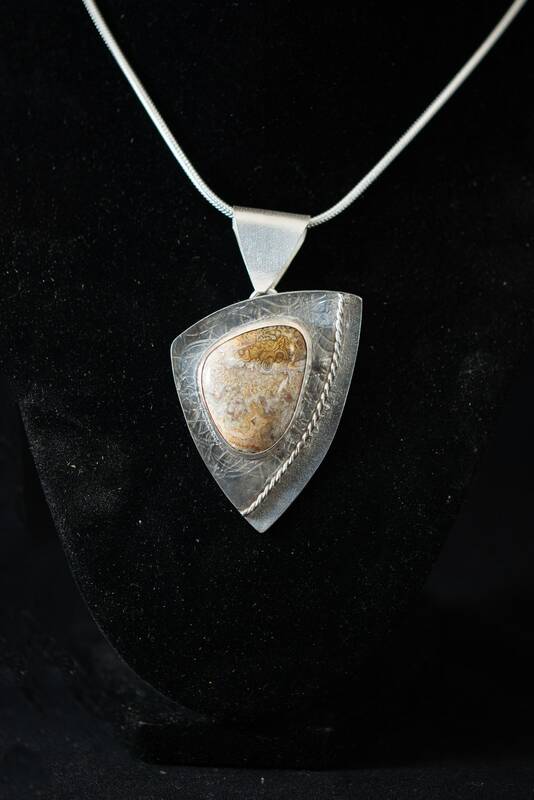 A one of a kind handmade sterling silver pendant made with an elegant hand cut and polished Crazy Lace agate stone. 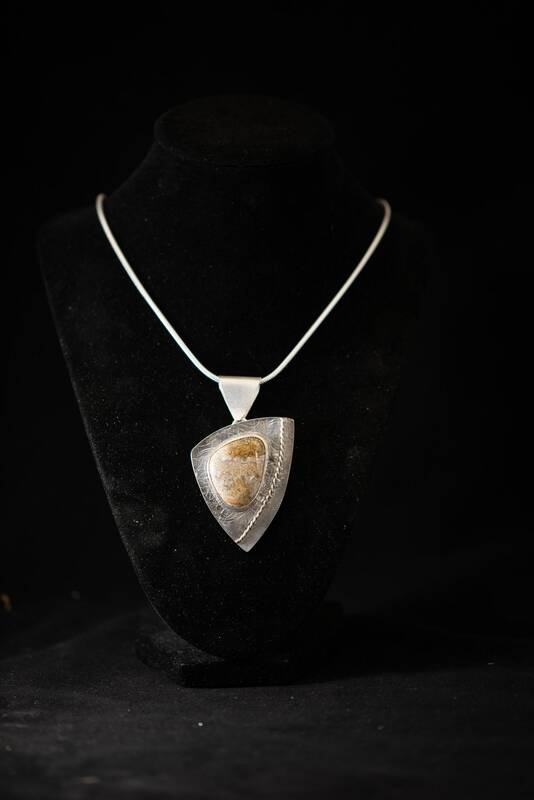 Set in a fine silver bezel, on a textured sterling silver backplate. 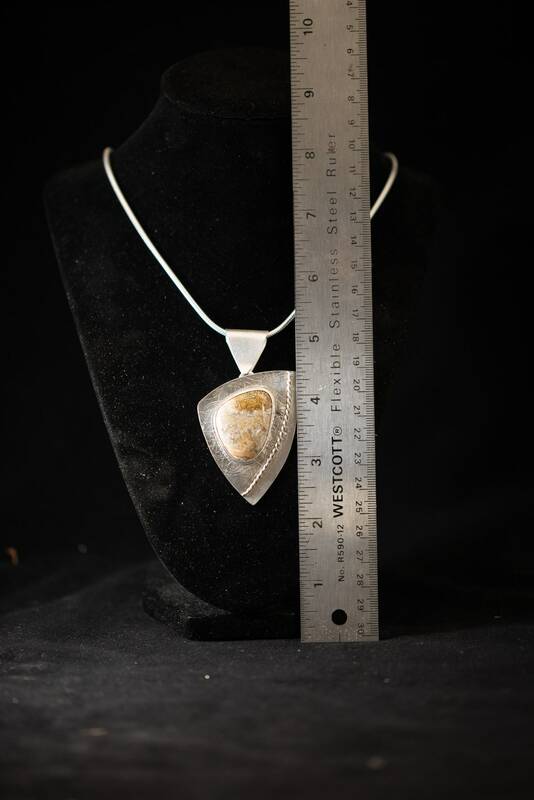 Comes with an 18" silver chain.